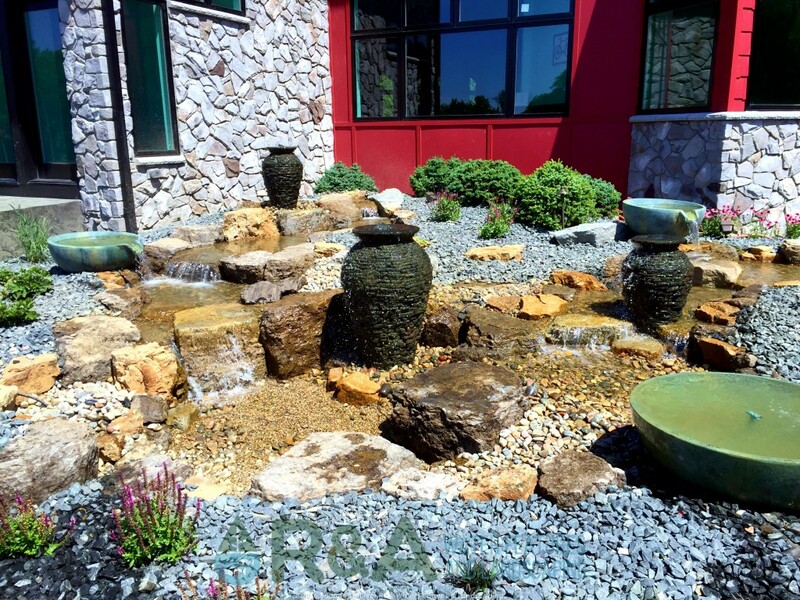 Small water features work anywhere; small yards, big yards, businesses, inside, outside, they are incredibly versatile. Here are some of our top picks for the best type of water feature for a small yard. We love these. Plain and simple. 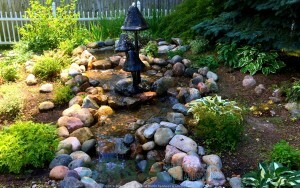 They are their own water feature, yet can be incorporated into an existing pond or larger water feature. Sizes: The ‘spillway bowl‘ which is the top bowl, is 32″ in diameter. The lower bowl, called the spillway basin, is 40″ in diameter. Best Locations: walkways, near entrances, existing ponds, near patios, really anywhere where they can be enjoyed. What Makes It One Of the Best for a Small Yard? The size of this water feature is perfect for a small yard. It’s also low maintenance, relaxing, and kids (and adults) love them! Any Drawbacks? While they are lower maintenance than ponds, they do still require care. The amount of seasonal care you can expect will depend on a few factors, mainly the quality of your water source. We do recommend a spring and fall cleaning to keep your feature in top shape. 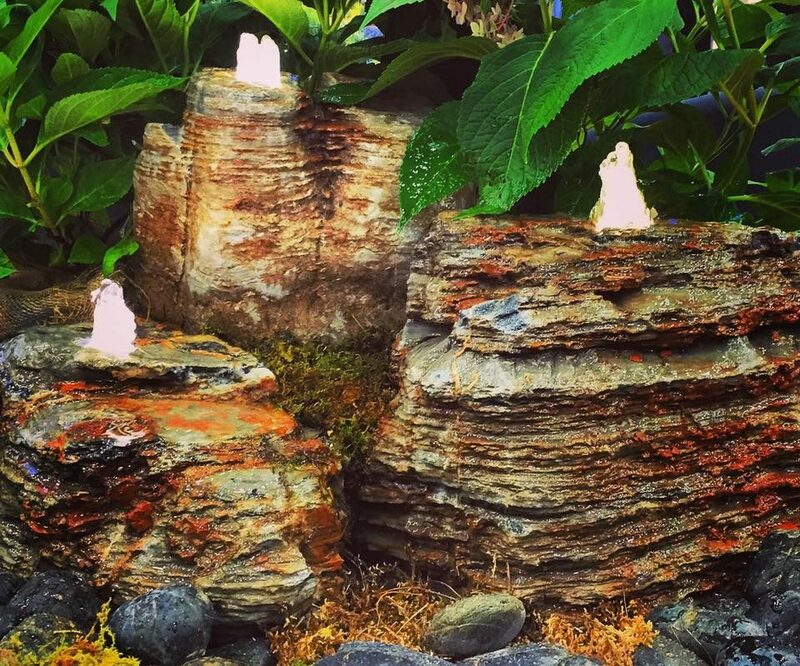 These are a new addition to the decorative water feature family, and make a nice addition to a small yard. Best Locations: Like any smaller decorative water feature, pagoda stones are best enjoyed by walkways, patios, and entrances. What Makes it One of the Best for a Small Yard? The set of 3, in total diameter, is a little smaller than the spillway bowl, great for small spaces. Each stone is unique in color, texture, shape, and formation. The pagoda stones are perfect due to their size, they are also lower maintenance than a traditional pond, yet still create a relaxing atmosphere. Any Drawbacks? Like a spillway bowl, the amount of seasonal care required will vary and depend mainly on the quality of the water source. We still recommend a spring and fall cleaning to keep your pagoda stones in great condition. Our smallest pondless water feature can be as small as 3′, which can neatly fit into an existing landscape bed. Our most popular size of a pondless water feature is between 6-12′ long. Many clients wishing they would have gone bigger in the beginning. 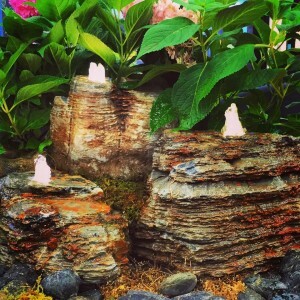 Sizes: Pondless water features can be as small as 3′ long, and go up to…well any size really. These are very customizable. Best Locations: Anywhere. Near walkways, patios, entrances, tucked into a landscape bed, near a fire pit, or by a hidden place you like to relax. What Makes it One of the Best for a Small Yard? Due to the ability for customization on size, a pondless water feature can fit nearly anywhere. They are also quite safe for small children to play around, or in, since there is no standing water. Any Drawbacks? You can expect a spring and fall cleaning for your pondless water feature, other than that the maintenance is quite low, like the spillway bowls and pagoda stones. Every homeowner deserves a place to get away and relax. Even if you have a small yard, there is a water feature that will fit your space. Check out some recent projects for additional inspiration, and find answers to frequently asked questions. Ready to get started? Contact us today, for your piece of paradise.